The Sealine S34 offers an excellent combination of sports boat handling and great accommodation for hull length. With two double cabins and a large and sociable cockpit the S34 really does make the ideal family cruiser. 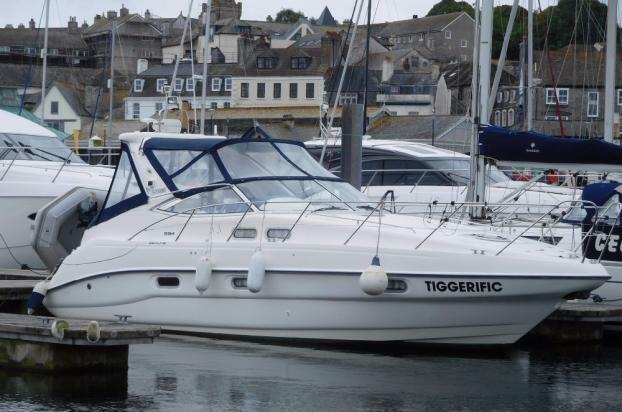 Powered by twin Volvo Penta KAD32P 170hp engines, this S34 has been meticulously maintained with no expense spared. Fitted with a Honda 2kw Genset fully integrated into the onboard electrics.